This is my entry for T.W. Wombat’s Winter Is Coming Festival.  Check out both his Winter Is Coming Festival page and his blog Wombat’s Gaming Den Of Iniquity. Charyssil was a powerful tiefling warlock who lived during the height of the Empire of Bael Turath. Unlike her brethren, who promised their very souls to devils in exchange for their power, Charyssil made a pact with a powerful archfey – The Winter King, who had dominion over the entire season in the Feywild, including all its snows, frozen fields, ice-covered forests, and other beautiful, serene landscapes. Charyssil joined with a band of adventurers, and over time, her power grew. Not coincidentally, she was drawn to locations and creatures of the cold northern lands, and the tall, frigid peaks. She learned the secrets of elemental cold magic, and became a master crafter of enchanted items. Seeking to earn a place in her patron’s court, Charyssil planned to create a tribute to the Winter King. She was encouraged and assisted by her eladrin friend, the archmage Fervail. He reasoned that imitation was the sincerest form of flattery; the Winter King, like all fey, would be more receptive if presented with a gift demonstrative of his power. Charyssil agreed. She forged a crown of ice from the heart of the Elemental Chaos, and imbued it with the power of the Winter King. But the Winter King, like all fey, is a fickle being. Rather than being flattered, the Winter King was offended that his essense was used to create a mockery and pale imitation of his own power. Enraged, the Winter King slew Charyssil. During the battle, Charyssil was betrayed by Fervail, who absconded with the Crown and fled back to Bael Turath. In the centuries since, the Crown Of The Winter King has appeared and disappeared many times. It is said that the Winter King hunts for it still, so that he may finally reclaim his shard of power. This translucent blue-crystal circlet feels cold to the touch. When you don it, those around you get a chill, and your skin feels cold and clammy. Wow, I made it to Day 5 of Speak Out With Your Geek Out! How’s that for seeing things through! So, all this week I’ve concentrated on my RPG Geek. That’s to be expected from a blog named Elf Steaks, I suppose. But, as is typically the case with Geeks and non-Geeks alike, I have more than one passion. “What else do you Geek out about, BeefGriller?” Well, I’m glad you asked! Here, in no particular order, are the subjects I most Geek over. Charcoal grilling There is a reason I took the name BeefGriller. I bought my first charcoal grill seven years ago. I obsessed over finding the perfect way to light the charcoal, grill my steaks/chicken/pork/etc., learn about indirect grilling, and just about anything else you can think of. (I love making grilled tomato pasta sauce. Yes – pasta sauce.) I think this passion is a hallmark of Geek, and I have it with charcoal grilling. Computers, open-source software, and making it all work perfectly This is another huge part of my Geek. I was a founding member of my local Linux user group, way back before Linux was on the radar of any IT group. I’m a huge supporter of OpenBSD, and use it wherever I can. Just last year, I bought my first Mac and haven’t looked back. I’m also lucky enough to have turned this Geek passion into my full-time job. While it’s not always a bed of roses, I am living the Geek dream in that regard. Sudoku, Kakuro, and other logic games I can sit for hours and solve puzzle after puzzle. I love logic, and, by extension, logic games. I love how, given a few clues, I get to the final solution using only my brain. Not only that, it keeps my mind sharp and helps me relax. Plus, there are few things more fulfilling than solving a puzzle correctly. So, that wraps up my Geek list. What about you? What are your Geek passions? If you share any of mine, let’s swap stories and/or tips. I will not suffer Geek Shame. For most of my life, when people asked me about my hobbies, I usually answered with reading, grilling, computer games, computer hacking, etc., but I always shied away from the role-playing games. No more. I will make that one of the first things I mention, if not the first. I’m through with Geek Shame. I will engage others in conversation about my Geek passions. This flows from the last promise. When people ask, “What do you mean by ‘role-playing games,'” I will explain it, to the best of my ability. However, I must make sure that I don’t drone on, bore the questioner, and possibly drive them off. As a geek, I do tend to get overexcited about my passions. I will try to bring people into my Geek hobbies and/or passions. This, too, flows from the last promise. Excitement is contagious, and if the person with whom I am conversing seems interested, I will invite them to my next game, perhaps, or loan them a rulebook. Gaming is a social activity, after all, which is improved with more participants (to a point, of course). I will cultivate the Geek traits and interests in my daughters. Flows from the last, again. (Hmm, a pattern emerges?) Being a father is a pillar of my self-definition. I see the nascent traits in all three of my girls. I will do my best to encourage their Geek to grow. At the same time, I will do my best to instill in them the self-confidence that I lacked. I must, must, must be certain not to force them into anything. I know well enough what that is like. I will work harder to make time for my Geek passions. (And the pattern falls!) Real life rears its ugly head oh-too-often. I have obligations to family, friends, work, home-upkeep, etc.. I am not complaining, but this does take up nearly all of my time. I will work harder to live up to these obligations in a more timely manner, so as to open up the time for my Geek. Looking over my list, it seems I want to focus on being myself at all times, teach others about my Geek hobbies, as well as bring others into the hobbies. Perhaps I’m not being too ambitious, but I’m happy with it. Speak Out With Your Geek Out – Hands Off My Dice! For my third installment in Speak Out With Your Geek Out, I’ll focus on the pride of every pen-and-paper RPG gaming geek: dice! In a previous post, I showed off my dice collection. Now, I’d like to share some of my rules, habits and obsessions I have with my dice. Hands off my dice! I don’t think I’m alone in this rule. I simply don’t like other people touching my dice. Now, if you ask, I’ll likely give you permission – that’s only good manners. Also, if you do touch my dice without my permission, you’re certain to be blamed when the bad rolls start coming up – so don’t rub your bad luck on my dice! Select three complete sets to use during the game. 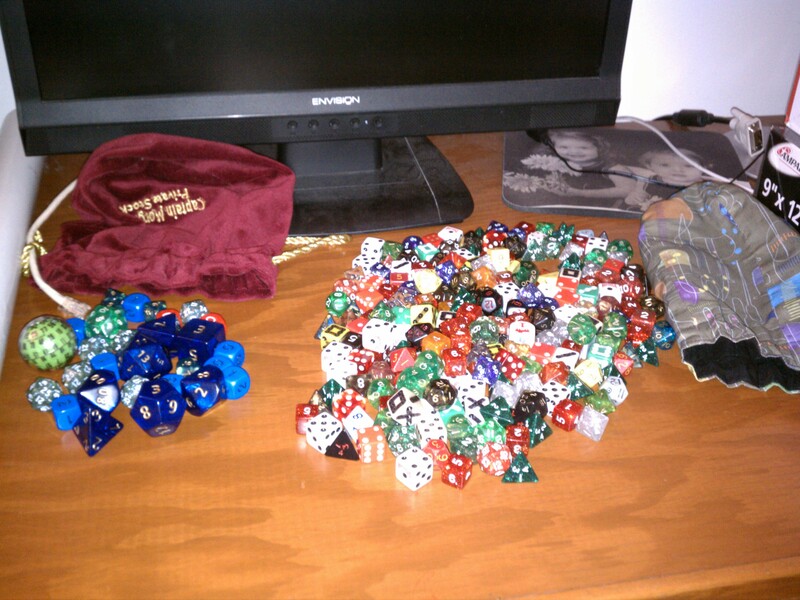 Mostly because I am likely to need to roll more than one of any given type of die (d6, d8, etc. ), this is only practical. Before use, roll all dice until the highest number shows. Like athletes, dice need to warm up before the game. Organize the dice by sides first, from d4 to d20, then colors, in neat rows and columns, with the highest number showing. OK, so the d4s are put together in a semi-circle because they fit that way. With the highest number showing, they’re more likely to roll that way, right? My theory is that gravity causes the bottom to become more dense, effectively weighting the die in my favor. If a d20 has a run of low rolls, I have a pep talk with it. If it continues, I give it a “time out.” Let’s face it, all dice want to roll the best numbers. If the d20 causes too many failures, you have to let it know that you expect better from it. If it keeps under-performing, it obviously needs a rest. I’ve come to realize, oddly enough, that I only do these things as a player. As a GM, I don’t observe these rules, other than numbers 1 and 2. How about you? Do you have any superstitions habits for your dice? I’d love to hear them.